Way back when I was a student, I spent most of my spare time binge watching 'The Hills' and desperately wishing I could move to LA and get a job working with LC and the gang. Then they brought Kelly Cutrone into it and I changed my mind - I wanted to be a tour de force like her. I've always thought her 'all-black' dress code at fashion week was a stroke of genius. It's smart, yet unobtrusive and it's quick and easy to achieve. I love this shirt dress from New Look Tall at ASOS. In fact ASOS is doing a stellar job lately of catering for us leggy lovelies. However, if I'm going to be honest, this is one 'tall' item that falls a little 'short'. In the tall blogging community I'm a bit on the short side at only 5'10" - and this dress only just fits me. But it does fit. Just. As I've mentioned before, we have a penchant in our family for handmade gifts (as demonstrated here). So with Mother's Day coming up this Sunday in the UK I've been mulling over what to make. 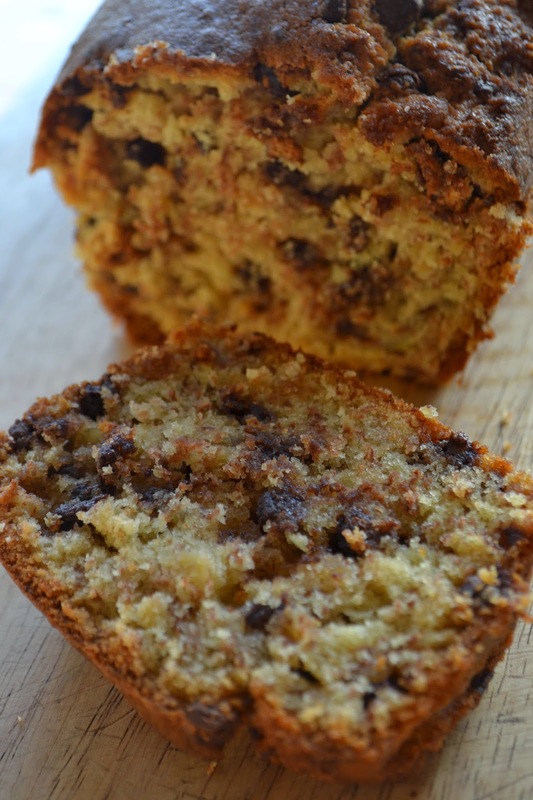 I thought this recipe I came up with for Dark Chocolate Chip Banana Bread would be perfect, after all my mum is forever telling me I need to eat more fruit and veg... Unfortunately my mum has decided to give up chocolate for lent so it's back to the drawing board for me but I hope you all get chance to try this delicious recipe for yourselves. If any one asks, it's one of your 5 a day!